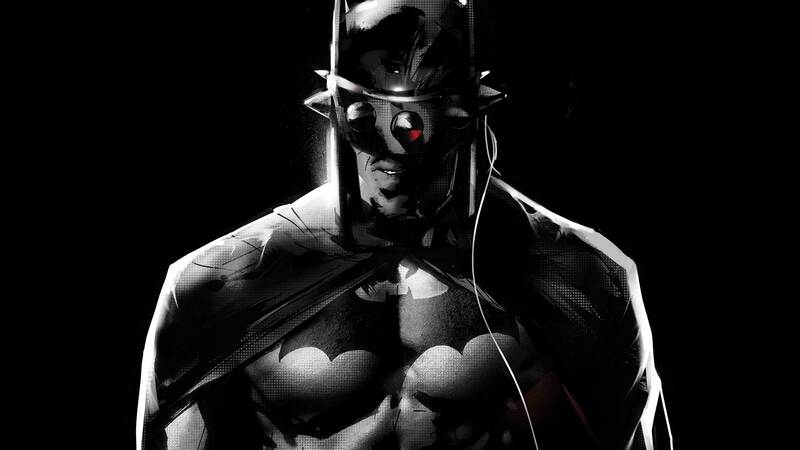 A frenzied and delusional Dark Knight turns on his single greatest ally in this shocking, exclusive first look at this week’s The Batman Who Laughs #4. Scott Snyder and Jock’s frightening Dark Nights: Metal follow-up returns! How far is too far? Since the Batman Who Laughs’ return to the streets of Gotham, the Dark Knight has found himself continually several steps behind him. Every revelation and discovery he’s made in search of the psychotic Joker/Batman hybrid, every move he’s made to give himself an edge, every contingency plan and failsafe he’s developed have all failed to get him closer to figuring out the Batman Who Laughs’ plan and putting a stop to it. The reason why? The Batman Who Laughs isn’t just an enemy to Batman—he is Batman. Anything that Batman knows or any action he takes is also known by the Batman Who Laughs, who is every bit the brilliant strategist and skilled fighter that Batman is, but with the nihilistic and completely unpredictable perspective of the Joker. Having seen his greatest efforts fall short time and time again, Batman has no choice but to make a rash decision. Having been poisoned by the Joker in one of the most ill-conceived attempts to help Batman ever devised, Batman stops combating the Joker’s special toxin and lets it set in, becoming a dark hybrid as well. But will it work? And if it does, at what cost? Alfred certainly doesn’t approve, as seen in this exclusive sneak peek at The Batman Who Laughs #4. And in response, Batman…well, you’d better see for yourself. Just prepare yourself and make sure you pick up the latest chapter of Snyder and Jock’s must-read miniseries when it hits stores on Wednesday. The Batman Who Laughs #4 by Scott Snyder, Jock and David Baron is in stores Wednesday.